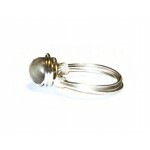 This ring is in a nice golden tan color. 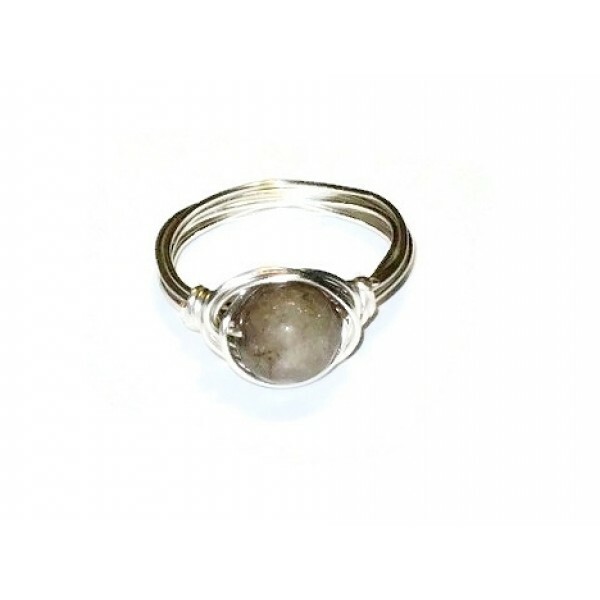 It features a faceted jade round bead that is wrapped with non-tarnish silver-plated wire. This ring is a size 7 1/2. These earth tone dangle earrings can go with a variety of outfits. They feature smooth mother-..